Who was Sai Baba? Where did he come from and what was his message? How and why was he worshipped as a God? Who were his disciples and why were they attracted to him? What do his devotees, numbering millions all over the country, think of his lilas? 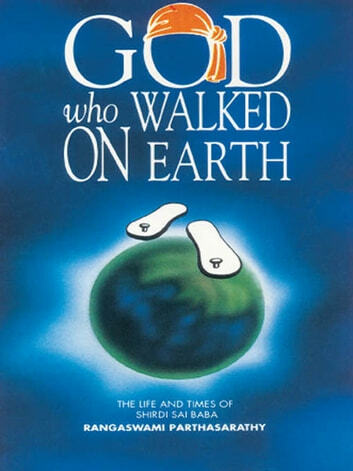 Have they experienced his compassion, and received succour and relief in their hour of need?These questions are answered in this biography of a living God who charmed and captured the hearts of people from all walks of life, of all religions, rich and poor, the learned and the illiterate. Many books have been written about Sai Baba of Shirdi but this one is different. For the first time a comprehensive and objective account of the life and times of Sai Baba is given in simple and easy to-understand language without omitting any aspect of Babas life and his philosophy. The book presents an absorbing story of a man who came to Shirdi as a fakir, was teased by children and frowned upon by sceptical villagers and remained to reign as a spiritual leader, the greatest saint of all times. He became a god who walked on earth. It is a book which every Sai devotee would like to possess as a Bible of Babas teachings and a remembrance of the great Master whose idol or portrait adorns the prayer rooms of millions of homes throughtout the country. Imprint: Sterling Publishers Pvt. Ltd.